The first week of the Electronic Village Online is in full swing! I’m co-moderating the session on teaching listening, and this week, under the guidance of Lizzie Pinard, we’ve started out with the topic of encouraging learner autonomy. One great thing about online sessions like this one is that there are a lot of participants who share a wealth of tips about the activities and resources they use. From what I’ve read in our discussion threads, it seems that a lot of teachers encourage their learners to watch TED talks out of class, and the participants have suggested a variety of ideas for activities based on the talks. educate the learners about the ways we learn languages (e.g. in class after we do a task, spend a few minutes discussing why it was done that way. One example is activating schemata before listening: the teacher could ask the learners to recall what the learners had done before listening, and then discuss how that task helped them to understand more). In general, the more insight the learners have into the way languages are learnt, the more responsibility they will be able to take and the more efficiently they will be able to spend their out-of-class English time. For the same reason, in the ‘menu’ mentioned above it’s important to provide the learners with concrete ideas for activities that they can do while watching the videos. they need the social experience of discussing the talks they’d watched out of class. NB To make this list easier to use, I decided to outline sample procedures – they might be quite different from the procedures used by the teachers who suggested the activity. After you model the activity get the learners to recall what they just did and discuss how this procedure helps them to learn the language. The more the learners understand about the way languages are learnt, the more responsibility they will be able to take for their learning. When you assign the activity for homework, provide the learners with written instructions (e.g. a handout or instructions posted in the learners’ online space). (2) get the learners to discuss what they felt while doing the activity and whether they feel it has learning value for them. When the learners have tried out quite a few activities, reduce the amount of scaffolding to encourage autonomy: let them choose for themselves which tasks they’re going to do while watching the talks (and maybe negotiate with the group how often they’re going to report back to the class, etc). Svetlana Bogolepova from Russia asks her students to analyze the structure of the TED talks they’ve watched and create a mind map of the talk. Choose a (short) TED talk. Do a topic-related warmer, and then tell the learners that they’re going to watch and analyze the structure of the talk. Tell them a one-sentence summary (e.g. ‘In this talk the person speaks about his experience doing something new for 30 days’) and ask the learners to predict what sub-topics the speaker is going to mention, e.g. why he did this? what things did he do for 30 days? The learners watch to check their predictions and then discuss in pairs. As a follow-up, the teacher boards their suggestions in the form of a mind map. The learners copy the mind map. The learners watch again and add details to the mind map, compare their mind maps in pairs and report back to the whole class. brainstorm the benefits of each step (e.g. predicting the content will allow you to ‘activate’ topic vocabulary). The learners find an interesting talk and create a mind map that reflects the structure of the talk. Optionally, they upload a picture of the mind map to the group’s online space. In pairs, the learners retell the content of the talk they’ve seen to a partner who hasn’t seen the talks (using their mind map), and discuss the talks. This idea was shared by Jennifer Rueda from the United States. She gets her learners to reflect on the talks they watch by using the Cornell note-taking technique. Ask the learners how they usually take notes. How useful are their notes? Do they ever re-read them? Tell the learners that they’ll try a new method called Cornell note-taking. Elicit what they know already about the method. Then give them an article that explains the method, e.g. this one. Get the learners to read the article and, in pairs, (1) compare how they understood the article (2) brainstorm 2-4 advantages and 1-2 disadvantages of the system. Choose a TED talk, watch it and complete a Cornell grid. In pairs, the learners show each other their grids, briefly retell the summary of the article and discuss whether they would like to continue using this note-taking method. Sidney Martin Mota from Tarragona offers a variety of listening tasks for his learners to do autonomously (suggesting they watch news and TV shows, as well as TED talks), and links each task to the appropriate CEFR descriptor for the learners’ target level, e.g. a B2 descriptor for TED talks will be ‘I can follow the essentials of lectures, talks and report and other forms of complex academic or professional presentation in my field’. The learners watch the talk and rate their performance of the descriptor on the scale of 1 to 5. Pomilla Agarwal from India suggested a task in which the learners note down key expressions from the talk and then retell the talk using the expressions. Open the interactive transcript (either on TED or on Youtube). Choose a collocation that is key to the talk (e.g. ‘do a challenge’). Board the sentence containing the collocation with some parts of the expression gapped out. Ask the learners what’s in the gap, then play the line for the learners to check. Play the line a few more times for them to notice the pronunciation of the expression and practice saying it together with the speaker. Refer the learners to the transcript and ask them two find 5-10 more expressions that are key to the text. Monitor to encourage them to notice more than one word (e.g. if they choose a noun, prompt them to look for the verb that goes with the noun). Board the expressions that the learners have chosen. If there are too many, the learners choose which ones to wipe out. Find the expressions in the interactive transcript to analyze and copy pronunciation. Get the learners to summarize the talk using the expressions on the board (step 1: in writing; step 2: orally). Find an interesting TED talk and watch it. Look through the transcript and find 5-10 expressions that will help you summarize the talk. Try to look for multi-word expressions that you already understand but don’t use. Use the interactive transcript to play the expressions; try to speak with the speaker to copy the pronunciation. Practice giving a summary of the talk using the expressions. The learners briefly report on the talk they’ve seen using the expressions they’ve chosen. In this task, the learners retell the talk 3 times, each time speaking faster (this is an activity that I really enjoyed doing with a group of teens). This task is a great way to work on your fluency. Find a TED talk that is interesting for you, watch it and take brief notes. Retell the talk one more time, this time in 3 minutes. You’re working on fluency, so your goal is to retell the talk as fully as possible, but speak faster than last time. Briefly look through the transcript again, and then retell the talk one more time, this time in 2 minutes. Again, your goal is to speak even faster than last time. [optionally] Record the final attempt and upload it to the group’s online space. In pairs, the learners retell the talk they’ve seen to their partner in 2 minutes. After that, allow a few more minutes to discuss the talks. The learners watch the talks at home. After that, in class, they retell the talk they’d seen to a partner in 4 minutes. They change partners and retell it one more time in 3 minutes – don’t forget to explain the goal to them and stress that they need to speak faster. Finally, they retell the talk one more time to a new partner in two minutes. This was the idea suggested by Lizzie that a lot of the session participants want to try out (especially since quite a few already have, successfully, either with their learners or as language learners). In this (challenging) task the learners listen to an extract from the talk and simultaneously speak with the speaker, trying to copy their pronunciation. Read this post for the detailed procedure. Find a talk that has English subtitles on Youtube. The talks with subtitles are labelled ‘CC’. To check that the talk has English subtitles, click on ‘More’ under the video, choose ‘Transcript’ and look for ‘English’ (not ‘English – Automatic captions’). Watch the first 2-3 minutes of the talk without the subtitles for general understanding to make sure the topic is interesting for you. The learners retell the talk they’d watched to a partner and discuss the talk. They also share what grammar structures they listened to and what they noticed about the pronunciation of these structures. Maren Behrend from New Zealand gets her learners to improve their listening skills by transcribing a 30-60 second extract from the video and then using the transcript to check their work and analyze the speaker’s pronunciation, e.g. the weak sounds. Choose a TED talk with subtitles (see screenshots above). Listen to the extract 4-10 times and write exactly what you hear. Go back to youtube, open the interactive transcript and find the extract in the transcript. With a different pen, copy the words that you didn’t catch. Repeat with 5-10 extracts, adding new words to the grid. Finally, watch the talk – after the work you’ve done, you should understand the speaker’s accent a lot better. Anastasiia Gubarenko from Russia suggests to her learners that they watch videos that might actually help them turn into better learners (e.g. talks on how to become self-motivated)! Also, the learners might benefit from watching the talks about strategies for learning languages autonomously. Get the learners to discuss their language learning biography so far. When were they learning a language the most effectively? How? What approaches to learning haven’t worked for them? What ideas did all speakers mention? Did any of the speakers contradict each other? This was an idea that Jenny Wright came up with: once the learners have been exposed to a range of strategies, they could negotiate which talk (or a different resource) they will all watch next week and/or which combination of activities they will do. I think this is a wonderful idea because this seems to be a very natural way to get the learners to talk about the educational value of the activities. How about you – what are your favourite tasks to do with TED talks? Stage 1. 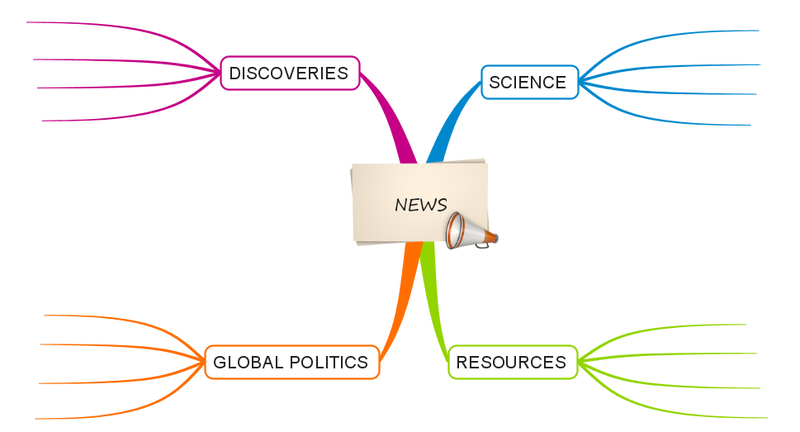 To introduce the topic of news, board a few words that collocate with ‘news’ and ask the students to guess the missing word (one collocation/one guess); start with less obvious ones, e.g. 1. How do the people you know keep up with the news? 2. What about you – how do you get the news? What kind of news and what for? Are your news sources reliable? 3. Is it really important to keep up with the news, or is that a waste of time? What are the benefits you personally get from keeping up with the news? Stage 3: Board ‘The Long News’. Tell the s/s, ‘We’re going to watch a video about a project called ‘The Long News’. Come up with one or two ideas what might be the central idea behind this project.’ Give the s/s time to discuss and board their suggestions. The s/s watch the first part of the video (until 01:21 – ”sooner or later this particular recession is going to be old news’) and decide which prediction was the closest. Stage 4. Hand out the mindmap and tell the students that the presenter is going to mention several pieces of ‘long news’ in each category. Ask the students to work in pairs and predict which events that have happened over the last decade might have made it to the list – make sure that they do write their predictions down as they will need them for the discussion task later on. Allow around 10 minutes. Tell the s/s that in speech some syllables are more prominent (louder/higher pitch / longer) than the others; tell them that you’re going to replay just two sentences; ask the s/s to close their eyes and count how many prominent syllables they hear; FB; ask the s/s to take an A4 sheet, listen again and write down these prominent syllables (but spread them out on the sheet); FB: board the syllables the students have caught; replay again – the students try to fill the gaps; board all suggestions they’ve got (aim to put every single version in the class onto the board and do not comment on the versions just now); replay again – s/s decide which of the versions on the board are correct (if they still can’t catch it, one useful technique is for you to repeat after the speaker mimicking their speed and pronunciation, and then repeat the utterance several times more and more slowly; once the students catch it, reverse the process: repeat it faster and faster several times). Finally, ask the students to listen again and mouth only the prominent syllables with the speaker (replay a few times); after that ask them to mouth the complete utterance. I learnt this technique from Nick Hamilton, one of the incredible teacher trainers at IH London under whose guidance I had the privilege to study last summer. Stage 7. Replay the rest of the video bit by bit to help the students catch and write down the rest of the news. Stage 8. Refer the students to the transcript (page 3 of the worksheet) and ask them to predict what should go in the gaps. Replay the beginning of the video for the students to fill the gaps. Ask the students which of the expressions refer to more distant future. We are drowning in news. Reuters alone puts out three and a half million news stories a year. That’s just one source. My question is: How many of those stories are going to matter __________? That’s the idea behind The Long News. It’s a project by The Long Now Foundation, which was founded by TEDsters including Kevin Kelly and Stewart Brand. And what we’re looking for is news stories that might still matter 50 or 100 or _________________?. And when you look at the news through that filter, a lot falls by the wayside. To take the top stories from the A.P. this last year, is this going to matter _________________?? Or this? Or this? Really? Is this going to matter in 50 or 100 years? Okay, that was kind of cool. (Laughter) But the top story of this past year was the economy, and I’m just betting that, _________________, this particular recession is going to be old news. So, what kind of stories might make a difference for the future? Well, let’s take science. ___________________, little robots will go through our bloodstreams fixing things. That _________________is already here if you’re a mouse. Some recent stories: nanobees zap tumors with real bee venom; they’re sending genes into the brain; a robot they built that can crawl through the human body. [option 1] Take a few minutes to board all the ‘Long News’ items that the s/s came up with during Stage 3. Ask the s/s to discuss, either in the same pairs or in new pairs, what these events might lead to in the future – in order to encourage the use of target language, ask them to put these ‘consequences’ on their timelines. After that ask the students to choose, individually, five events that they consider the most important and then agree on the list of top 5 events in new pairs. For Homework, you could encourage the students to do more decoding practice with this clip. Stage 11. [optional] If you have a lot of time, do a more detailed language focus: hand out the mindmap on page 4 and ask the students to put the time expressions on the map. After that, s/s do the task at the bottom of the page in writing; Language FB, then discussion in pairs.